Lucky Ladies Bingo is a new gaming site which is ready to spoil us rotten with generous bonuses. Even though the emphasis is on the women, it doesn’t means that you fellas won’t be interested in their huge range of games, including the most pioneering slots on the market. Mobile Bingo Bonuses know that if you’re a fan of bingo, tourney, casino, scratch cards and slots such as The Hunt and Five Pirates, then they’ve got you covered. If you’re wondering how you’ll fit so much great gaming into your hectic lifestyle then we have the answer, game on the go! If you have a smart phone including Android and iPhone or a Tablet device and you can play when and wherever you like. So whether you’re taking a break in work, walking the dog or relaxing in the bath, all you need is your mobile and who knows you may win a jackpot. 100 bingo tickets when you join Facebook or Twitter. Registering is easy and once you’re a confirmed new player, you’ll receive £10 bonus credit into your account. There’s no need to add a deposit and the credit will give you the chance to really check out the site, kind of a try before you buy. 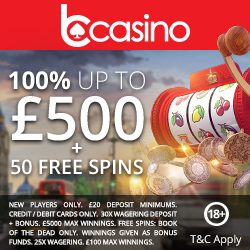 This means that on a minimum £10 for all three deposits you’ll receive £115 bonus, which when added to your credit makes a whopping £145 to game with. 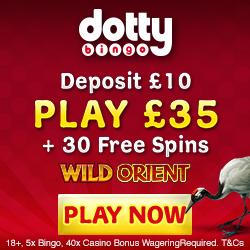 From the 4th deposit onwards you can take advantage of Lucky Ladies Bingo redeposit bonuses, where simply for adding a minimum of £25 you will receive a percentage cash back. This amount could be anything up to 20%, but we would always recommend that you check out the promotions tab before adding any credit. For those of you who prefer banking with cash then check out their deposit specials offer, where you can earn additional casino cash simply for adding credit. Most of us love to tell our friends about the great new things in our lives such as a new restaurant or book, so why not a bingo site? For each friend you refer who deposits, you’ll receive an Amazon voucher worth £10 and because this offer is unlimited the more friends you have, the more there is to spend. Lucky Ladies Bingo believe that the best part of online gaming is meeting new friends. As such they offer a number of chat games and rooms where you can win some amazing prizes. If you’re a social butterfly then check out Lucky Ladies Facebook and Twitter pages and if you like or follow, then you’ll receive 100 bingo cards. They accept the usual banking methods including Credit and Debit cards, U Kash, Paysafe Card, Neteller and Boku mobile payments. So if you fancy being a lucky lady, or gentleman then head over to Lucky Ladies Bingo and claim your £10 credit.